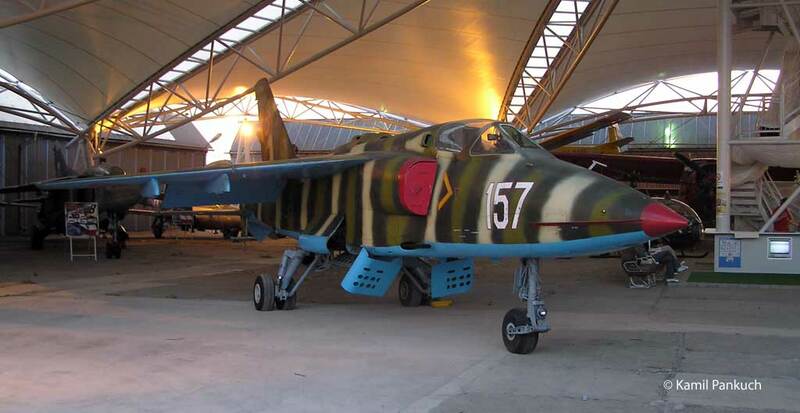 Romanian single-seat ground attack and tactical reconnaissance aircraft with capability as low level interceptor. Airplane was developed as joint design by Romanian and Yugoslavian engineers - project name YUROM. 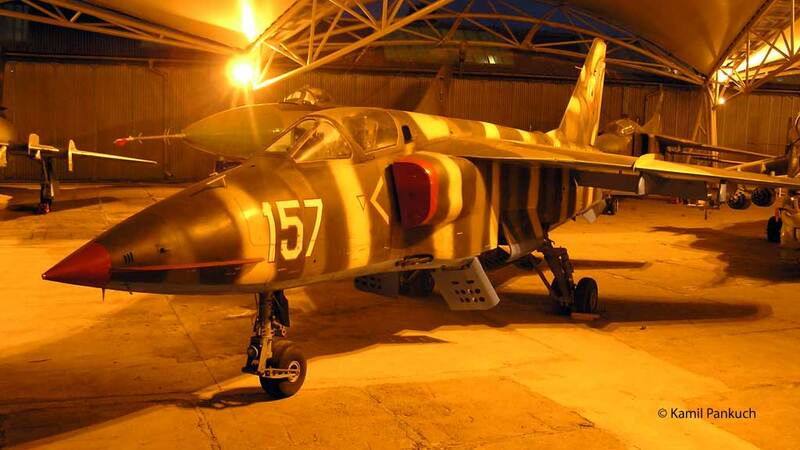 Governmental agreements were signed in 1970, in 1972 construction started and first light of prototypes - Yugoslavian J-22 Orao and Romanian IAR-93 took place simultaneously on October 31, 1974. Later two-seat prototypes made its first flight on January 23, 1977. Romanian and Yugoslavian aircrafts were built in two basic versions (A a B), which differs in using non-afterburning or afterburning version of engine. IAR-93A is powered by under licence built Rolls-Royce/Turbomecanica Viper Mk 632-41 engine without afterburning. Total internal fuel tank capacity is 2950 l for version A and 1500 l in three external drop fuel tanks. IAR-93 has two twin-barrel 23 mm cannons GSh-23L constructed by Grjazev and Shipunov with 200 rounds per gun. Other disposable armaments can be carried on five hardpoints - one under fuselage and four under wing - up to 2800 kg. Aviation museum in Košice displays IAR-93A s/n 93182157 with fuselage number 157. The 157 practised its last flight probably in 1997 and since then was stored on airbase Craiova, Romania. Aircraft was transported to Košice dismantled at autumn 2006. IAR-93A - basic version with with non-afterburning engine Viper Mk 632-41. 26 single-seaters (No. 109 - 119 pre-production, No. 150 - 164 serial) and 9 two-seat trainers (No. 005 - 008 pre-production, 180 - 184 serial) built. IAR-93MB - (MB - motor de baza - basic engine) - version with IAR-93B fuselage but used engine without afterburning. 15 built (No. 201-215) from 1982. IAR-93B - redesigned version powered by Viper Mk. 633-47 engine with afterburning, increased internal fuel tank capacity, revised wing and upgraded hardpoints. First flight in 1985. 27 built as single-seat (No. 200, 216-214) and 7 two-seat (No. 600-606).